One of the longest and deepest traditions surrounding the University of Wisconsin, the Wisconsin Idea signifies a general principle that education should influence people’s lives beyond the boundaries of the classroom. Be part of that tradition by expanding your educational experience and returning to school at UW-Madison! Are you a future Badger? 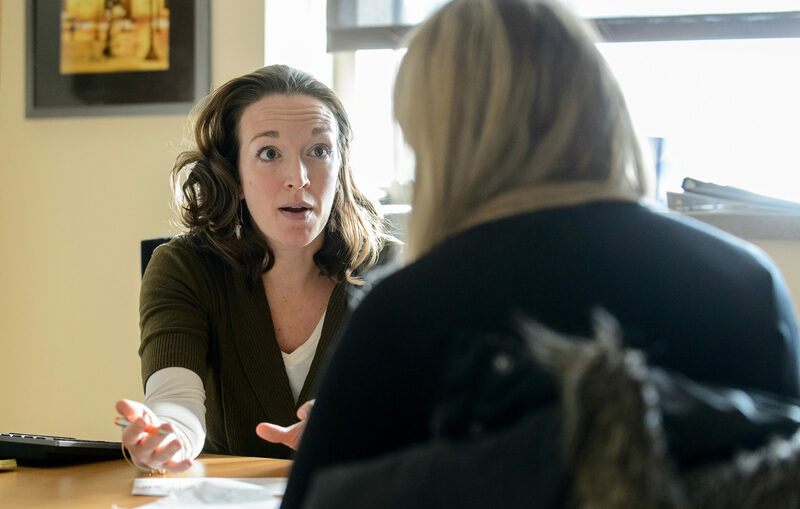 Undergraduate admission to UW-Madison is competitive and selective, and the professional admissions counselors review applications using a holistic process. The Office of Admissions and Recruitment is here to assist as you prepare to become a future Badger. Register for an information session and take a tour of campus to explore life as a student. Freshman and transfer admission counselors are available to help you navigate the application and admission process. As a transfer student, the Transfer Transitions Office can assist with additional advising prior to becoming a Badger. If you have college credit but no degree and it has been a few years since you have been in school, you may want to explore the Badger Ready program. Designed for community adults who may not currently qualify for transfer admission due to previous academic history, this transitional program is for adults 25+ and veterans of any age who typically have a minimum of 24 credits from an accredited institution (excluding UW-Madison) and a cumulative break of at least 2 years. 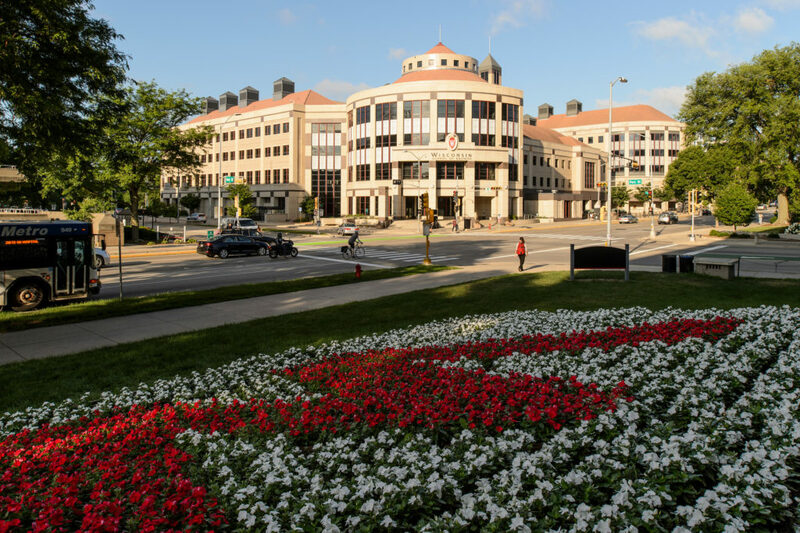 After successfully completing specific academic criteria in the Badger Ready program, participants can be admitted as UW–Madison transfer students. These criteria will likely include, but are not limited to, the completion of at least 12 UW–Madison credits as a University Special student with a minimum cumulative 3.0 GPA taken over the course of 1-4 semesters. Are you ready to take the next step toward graduate studies at UW-Madison? Whether you are interested in a professional degree, making a greater impact in the world, pursuing a new career, or attaining a personal goal UW-Madison’s Graduate School is here to support you. Graduate admission is a shared process between academic degree programs and the Graduate School. While the Graduate School sets minimum admission requirements, academic programs may have additional requirements. As you begin to consider graduate study, be sure to thoroughly research the various degree programs and their individual requirements. UW-Madison offers a number of post-baccalaureate professional degrees administered by the individual schools. Do you have aspirations of working in the medical field or becoming a lawyer? There are services to assist you preparing your transcript, resume, and application to those programs. The Center for Pre-Health Advising supports students as they explore graduate and professional programs in healthcare such as Chiropractic, Dentistry, Medicine, Occupational Therapy, Pharmacy, Physical Therapy, Physician Assistant, and Veterinary Medicine. They assist with identifying prerequisite coursework, preparing you for involvement in research and service opportunities in addition to providing resources for professional exams and the admissions application process. The Center for Pre-Law Advising provides advising and resources to students in the process of considering, preparing for and applying to law school. Learn from experienced professionals to ensure Law School is the right option for you, ways to get involved and suggested Pre-Law coursework. Also, discuss the application requirements such as personal statements, letters of recommendation, resume and not to mention the LSAT. Are you on a path to a UW-Madison degree program but not quite ready to apply for admission personally or academically? Adult Career and Special Student Services hosts University Special (nondegree) students looking to take courses outside a formal degree program. These Special student types range from preparing yourself for undergraduate degree-seeking status, taking prerequisites for a graduate or professional program, or even a Capstone Certificate. Online courses and degree programs can provide the flexibility and convenience you need while juggling the variety of other responsibilities in your life. Find out more about the wide variety of online learning options on our webpage. There are a variety of financial resources available to you as a returning adult student. From the Office of Student Financial Aid to tax credits for education to adult awards, grants, and scholarships, we have got you covered! Are you new to the UW-Madison campus or back after a break from your studies? The Building Bridges orientation will help you learn about campus libraries, student resources, financial resources, and much more! The event is open to all returning adult students newly admitted to undergraduate, special, graduate, or professional studies. Meet fellow adult Badgers and build confidence before the first week of class! Take a few moments to peek over some additional new student resources once you are admitted to UW-Madison. Review helpful webpages to orient yourself to campus such as obtaining your Wiscard, navigating campus, getting involved and locating additional helpful services. The Greater University Tutoring Service (GUTS) connects you directly with volunteer tutors for assistance with your coursework, study skills, conversational English, graduate school preparation and much more! Their tutoring services are free so don’t be shy! Whether you need to locate childcare, have questions about financial assistance or are in need of advice, the Office of Child Care and Family Resources is here to help! Do you need health insurance? The Student Health Insurance Plan (SHIP) offers comprehensive health Coverage for UW-Madison students and scholars. The plan is available to U.S. citizens or permanent residents, registered at UW-Madison for at least 5 credits as a special or undergraduate student OR 2 credits as a graduate student. Additionally, international students and scholars on any type of non-immigrant visa are also eligible! Check out the SHIP page for benefits and rates! Once you’re admitted to a program, you will be assigned an academic advisor who knows all the details about your program! They can assist with recommending courses, ensure you’re taking them in the right order and answer any questions you have along the way. Make sure you are on track with graduation by meeting with your advisor each semester! Determine your goals – Write them out and remember them! Set realistic goals – Whether your goals is to earn a degree or obtain a better job, you will need to prioritize all our responsibilities. You may need to postpone household chores for example in order to concentrate on your studies. Be flexible! Consult with your family – Discuss your plans with your significant others. Collaborate on how they can support you while you are working toward your goals. Be organized – Prepare as far in advance as possible. Take care of yourself – Make your well-being a priority and practice regular self-care. Manage your time effectively – Develop or plan for blocks of study time when you unavailable for other activities. Be efficient and creative with your studying. Take baby steps – Going back to school can be a challenging transition. Take a lighter load to start with and build up to a full load as you are more comfortable. Get involved – Take advantage of study groups, labs and organizations with your fellow students. Bring your life experiences to the classroom – The classroom dialog can be so much richer learning from different generations and perspectives. Develop an awareness of how you learn and retain information.